I’m going to start from square one and if you are beyond that, please bear with me. Search Engine Optimization is the practice of following calculated and reasonably researched steps to help a website achieve a higher, or optimized, position in the search results on any given search engine. What’s a search engine? A search engine is a program that searches for and identifies items in a database that correspond to keywords or characters specified by the user, used especially for finding particular sites on the World Wide Web. The resulting pages of search results are all that we see in action. The most popular search engine is Google, but there are others such as Bing and Yahoo. There are even search engines for very contained uses that are miniature in comparison with the behemoth Google. It is all too easy to get confused and muddle the use of a search engine with another tool called a browser. They are not one in the same, although they do work hand in hand. A browser is a platform, or a program with a graphical user interface, used for displaying HTML files and used to navigate the World Wide Web. Let’s Look at Google. How does Google work? A search engine sends our crawlers (sometimes called bots or spiders) to follow HTML links on the Internet. They identify each link and bring back the information to deposit into a master index, or database. Then the search engine employs an algorithm to weigh a variety of ranking factors, some of these have been identified and some are still unknown. According to the Netcraft January 2018 Web Server Survey there are 1,805,260,010 (over 1.8 billion) websites. That’s just mind-boggling. However, most of those websites get almost no visitors. Maybe there is still hope for the little enterprise. I’ve got to believe in that! Although Google, and the other search engines like Bing and Yahoo, change the algorithms all the time, we can make some pretty good guesses at what their intentions are. Google states it clearly in its mission: To organize the world’s information and make it universally accessible and useful to everyone. Every change Google has made in the last seven years has focused on reducing spam, bringing order to chaos, and serving the user. We are all being urged to produce the best websites to serve the user, not to feed the search engines. These are the most important factors that we know of to improve ranking. Create websites with clean, easy to identify structure so that bots can find and index the content correctly. Streamline websites for swift loading. Our readers are impatient. Provide high-quality content that keeps our readers on the page and coming back. Plenty of internal and external link to make it easier for our readers to answer their questions and explore their curiosities on each visit to a website. 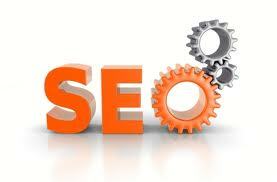 These four points are the heart of holistic SEO, or sometimes called organic SEO. We will never follow the black hat practices of keyword stuffing or white texting and will clean up websites brought to us with any vestige of these spam-filled techniques. Google has a low tolerance for such and is known to ban a website from search results when discovered. If you would like us to take a look at your website and run a scan of its current level of optimization, click here to apply.